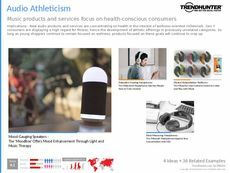 Find Better Ideas, Faster ® with a custom athletic apparel trend report, our PRO Dashboard and 80+ categories of premium trend reports. 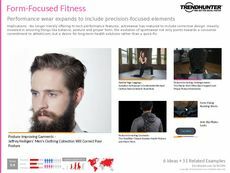 Our Athletic Apparel Trend Report showcases the most cutting-edge, fashion-forward and advanced selection of sports attire available on the market today. 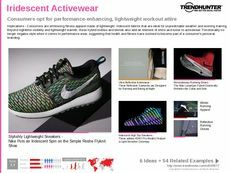 We highlight new and upcoming releases by major athletic apparel brands like adidas, Under Armour, Nike and others that show an advanced understanding of sport-focused design and consumer demand. Stay competitive and always ready to innovate with the help of our in-depth industry research of the latest athletic apparel trends. Stay up to date thanks to Trend Hunter's immersive crowdsourced research that taps into the motivations of the always shifting consumer market. 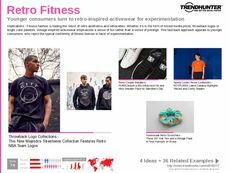 Learn from industry innovators and adapt to changing consumer trends with the expert insight found in the Athletic Apparel Trend Report.